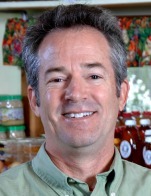 Mark Curran is co-founder of Black River Produce in North Springfield, Vermont. A self-professed former "ski bum," Mark and co-founder Steve Birge met on a ski slope in the late 1970s and forged the idea for a new business that would supply the area with quality fresh fruits and vegetables. 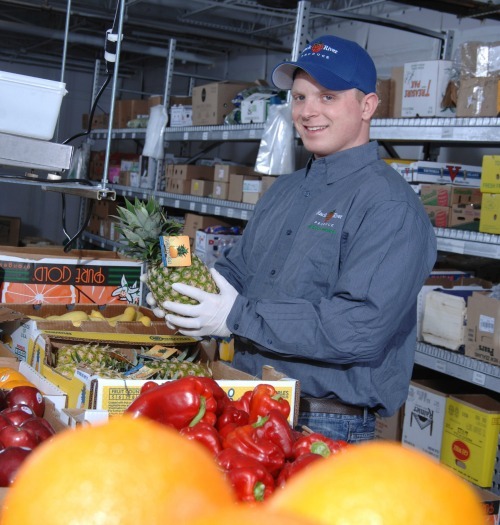 Today, Black River Produce has more than 2,000 wholesale customers, including stores, schools, restaurants, clubs, camps, ski areas, hospitals, nursing homes and farm stands throughout Vermont, most of New Hampshire, and parts of New York and Massachusetts. In 2012, Black River Produce opened a new meat processing and slaughter facility to help implement local meat into the regional food system . As the owner of Black River Produce in Springfield, Vermont, I employ 170 people, and I see how crucially this issue of early childhood affects my business in two specific ways. First, having to depend on child care has affected the lives of almost every single one of my employees at some point in their careers. When you’re a working parent of young children, your dominant concern is not about your 401K or your paycheck—it’s about who’s taking care of your kids during the day. I put four kids through the Vermont school system. When the third child came along, my wife decided to stay home, and that was a great advantage for us. Not everyone is in the position to do that. I run a 24/7 operation. Many of my employees have young children, and I sometimes literally watch a mother handing her baby off to the father through the car window when he’s leaving his shift just as she’s arriving to start hers. Trying to make those schedules work is very difficult. When a parent can depend on reliable and quality child care, he or she can be at work and focus on the job at hand. If the parent is worrying about who the child is with, or about the spouse getting home in time to take over the child care, that employee is going to be very distracted. The second point is that we need an increasingly competent future workforce, as modern-day jobs increasingly require well-developed cognitive, social-emotional and executive functioning skills (the ability to manage priorities, work toward future goals, multitask, regulate our emotional reactions and adapt to a changing environment). From World War I through the 1970s, the town of Springfield, VT was a precision-tool industry capital. There were a lot of jobs available, but those jobs consisted of standing at a bench and grinding off a certain part of a widget all day long. Now, robots do that sort of work—those non-complex jobs went away. These days, most jobs require a great deal of high-level thinking. My drivers require a Commercial Driver's License and the ability to use GPS. They have to perform complex inspections of their trucks. When it comes to making deliveries, they need to have problem-solving and customer service skills. Or, for instance, I employ buyers who are working with clients all over the world—managing relationships with people from Argentina, Chile, Florida, California and South Africa—and they’re additionally having to think about availability, demand, price and environmental sustainability. Today’s jobs are not getting less complex, they’re getting increasingly complex. We need very smart people in the workforce with strong executive functioning skills no matter what kind of job they’re doing. And then there’s social-emotional competence, which I’d consider even more important. The nature of my business is to deliver everything fresh—oysters, strawberries, blackberries, etc. We’re buying those items last minute and chefs are calling and placing orders until 10:30 the night before they’re delivered, and we have to figure out how to pack it all into trucks and deliver it by 8:30 the next morning. We’re asking the people fulfilling these order to come in and work from 8:30 at night to 5:30 in the morning in a cold warehouse, and they’re under the gun. That’s a lot of pressure. They need to be able to work as a team. These days, no matter the work, people are under constant stress, and emotional stability is key. If I’m hiring a person to run my seafood cutting room floor, and I have to decide between a person who knows fish inside out but lacks managerial skills, or a person who has less experience with seafood, but a great ability to deal with the pressure and the emotional competence required to get the job done, I’m going to pick the latter person. I can always teach an employee about fish, but I can’t make up for social-emotional development that was missed in the early years. Businesses have to look at these two points and consider the fact that giving all kids a strong start is essential to Vermont’s economic strength. We can invest now, or we’ll all pay more later.